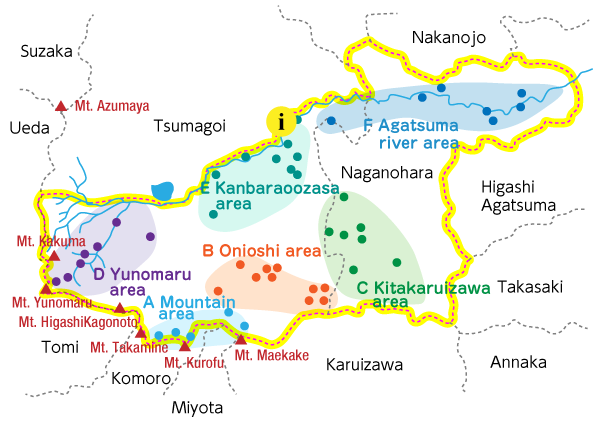 “The Japanese Geopark” has 43 areas. The north foot of Mt. Asama was authorized in September, 2016. The north foot of Mt. 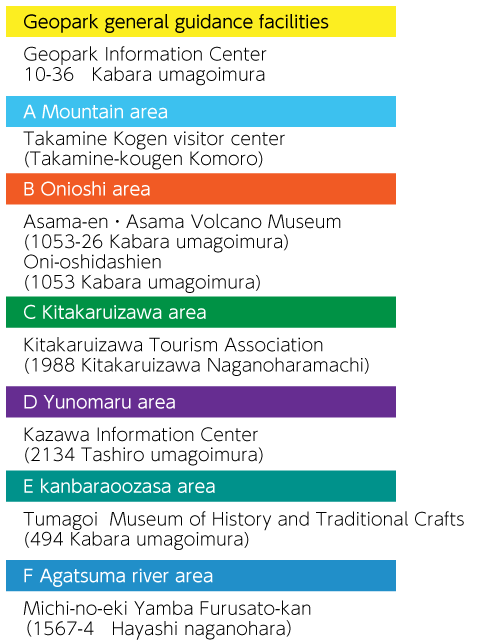 Asama parts in six areas. 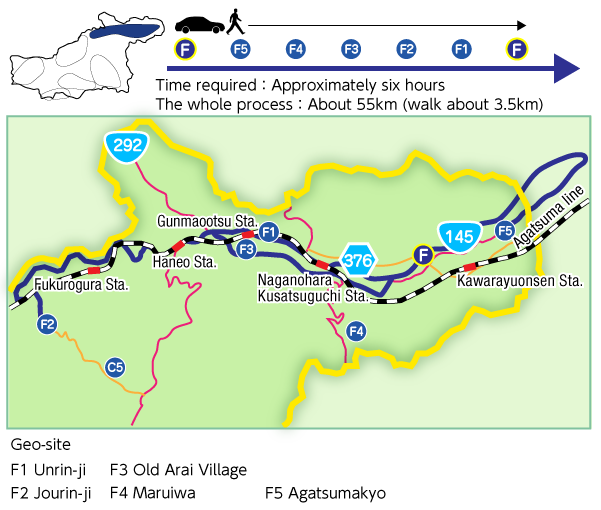 Michi-no-eki Yamba Furusato-kan is base facilities of the Agatsuma River area. We introduce the geo-site in the area. The geo-site is the highlight to characterize a geological feature and the topography, the Geopark including a living and the animals and plants of the person.